I wanted to give some more information on why I am using the funds from sale of my new EP to convert my studio to solar power. If you have the time to read and understand my motivation, I’ve broken it down below. The islands’ physical isolation means plants and animals carried here by wind, water and wings have had millenia to evolve into their own unique species found nowhere else on earth. Human encroachment into previously undisturbed habitats has threatened the survival of many of these rare, native species. The U.S. government says 377 species native to Hawaii are endangered. 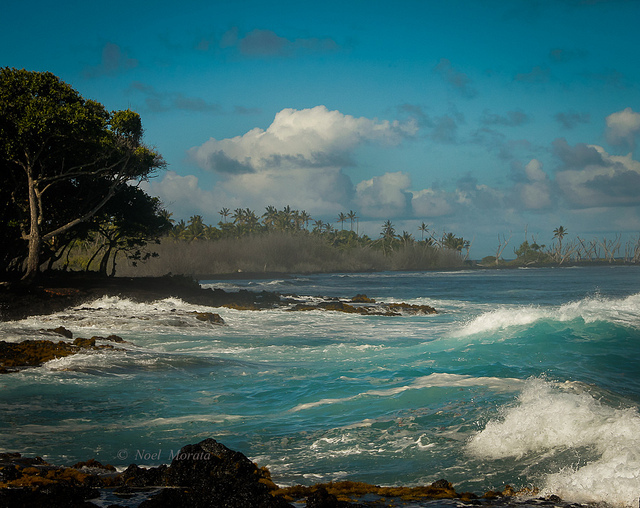 In Hawaii in particular, the expansion of human society into undeveloped areas has put pressure on the ecosystem. The introduction — both deliberately and accidentally — of alien plants and animals has decimated Hawaii’s native plants and creatures. Whalers were said to have introduced mosquitoes to Lahaina on Maui in the 1820s, causing long-term trouble for Hawaii’s birds. The sandalwood trade, which decimated the population of one of the islands’ native trees, is another example of how early Western contact foreshadowed the future impact to the ecosystem. Because our power is mostly supplied by fuel brought in from outside of the island, local power baron’s are looking to expand the geothermal projects on the big island. There are massive ecological consequences of drilling geothermal wells in the near-pristine Wao Kele O Puna rain forest. The energy project, undertaken by True Geothermal Company and endorsed by Hawaii’s governor and other imposing figures, has already invaded the largest intact tropical lowland rain forest in the United States. Now they are seeking to expand and build a new geothermal plant right on the coast, disturbing one of the most beautiful community beaches in the area. Law suits have been ongoing in the history of the existing geothermal plant, PGV, since it’s inception. Many accidents involving venting of toxic gasses into the surrounding neighborhood have happened, most with inadequate warning alerts and reporting to the public. The people here are traumatized by an earlier blow out that forced a major evacuation. There is often steam and brine in the air. The noise often exceeds the rural and residential standards. Drilling noise has gone on all day and night for many months, destroying the peace of this rural community. Local people finally passed a new regulation that prevents drilling at night in the future. The hydrogen sulfide (H2S), and other toxins have been documented in significant quantities. We believe this has led to illness and deaths of plants, animals, birds, fish and humans, and studies still need to be done. This is literally in my backyard. The current plant is less than a mile away, and if you go down my road you arrive at the beach which is the next proposed spot. Some have questioned the validity of me asking my fans to finance conversion of my studio to solar, but the larger issue is that the power I am using to create music in my home is literally destroying the beauty and the species that surround me. The only responsible option for me to stay in integrity is to find a cleaner source of power to continue to create and do my work, so I that I am not writing music literally on the backs of the plants, animals and birds that inspire me to create. The new proposed geothermal plant will be at Isaac Hale Beach Park. The Hale family are actually my next door neighbors, so this is about as close to home as it can get.